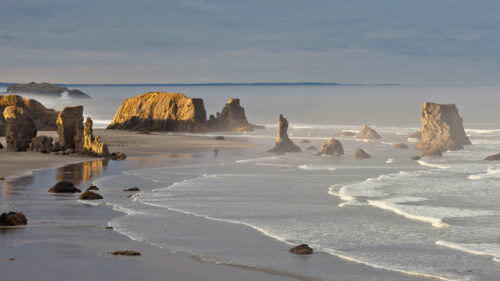 Stunning ocean views, a historic lighthouse, Oregon’s most unique fishing port and river pools that glisten like gems in an indescribable palette of blue-greens await cyclists embarking on the new Wild Rivers Coast Scenic Bikeway. 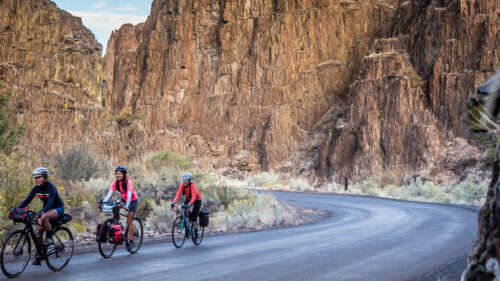 The designated Oregon Scenic Bikeway is a 60-mile route starting and ending in Port Orford with scenic stops all along the route including three scenic State Parks, the spectacular setting of the Cape Blanco Lighthouse and a 10-mile stretch of the nationally designated Wild and Scenic Elk River. 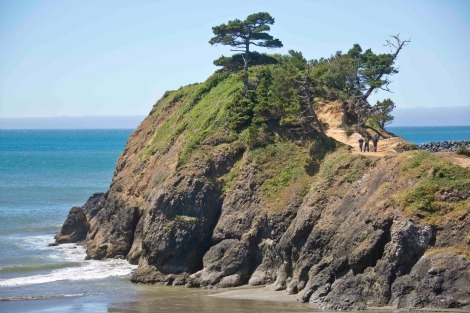 The Wild River Coast Scenic Bikeway begins at Battle Rock Park in downtown Port Orford, where gorgeous ocean views lay out to the south with rocky spires rising from the ocean’s edge and towering Humbug Mountain in the distance. Distant offshore rocks are part of the Redfish Rocks Marine Reserve. Battle Rock is a narrow rock formation, approximately 450 feet long, which reaches from the edge of the shore into the ocean. It was named for a deadly skirmish between European settlers and Native Americans that occurred here in 1851. Today, visitors can hike to the top of the rock to enjoy the panoramic view of the Pacific and unique oceanfront port. Battle Rock Park also offers beach access, restrooms and a visitor information center. Leaving Battle Rock Park, the bikeway begins by following Jackson Street north from the other side of Highway 101. Before exiting Port Orford, Agates Food & Bar (on Madrona Avenue) makes a convenient place for breakfast (Saturday or Sunday) or lunch. Both the tuna burger and salmon burger are made with fresh catch from Port Orford Sustainable Seafood, a cooperative of local fishermen dedicated to sustainable fishing practices. The bikeway continues north until it connects to US Highway 101 after about two miles, then continues north on the highway a little over a mile to Elk River Road where the route turns east. First passing farmland, pastureland and finally the Elk River Fish Hatchery, Elk River Road begins to transition to the Wild and Scenic portion of the Elk River. The roadway begins to narrow as greenery encroaches on the shoulders. 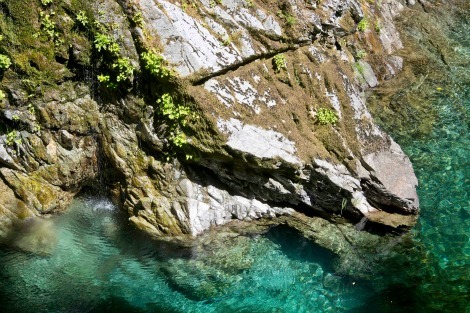 Look for places to stop and view the river and its magnificent pools of endless greens and crystal clear water. Wilderness areas to the north and east border the bikeway route. At mile 22 of the route, you reach Butler Bar Campground where you can enjoy the view or take a dip in one of the river’s stunning pools. On your return trip down the Elk River, stop at the fish hatchery to learn about salmon and the hatchery’s operation. After returning to Highway 101, the bikeway extends about another mile north to the turnoff west toward the Cape Blanco State Park and Lighthouse. It’s a little over a 5-mile pedal to the lighthouse that sits on the westernmost point of land in Oregon. Along the way, you’ll enjoy views of the Sixes River, farmland and cranberry bogs. Be aware of some rough roads and gravel midway through this stretch. 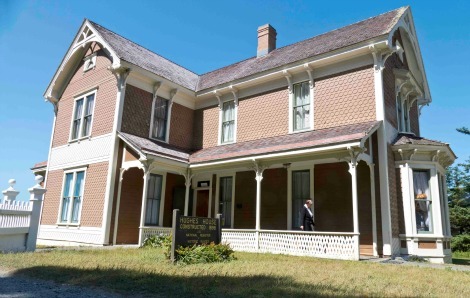 As you near the State Park, consider a quick side trip to Hughes House. The restored 1898 Victorian was the home of pioneers Patrick and Jane Hughes who built the house after 30 years of operating a dairy farm. The home is listed on the National Register of Historic Places and is decorated with period furnishings. It can be toured from 10 a.m. to 3:30 p.m., April through October (closed on Tuesdays). 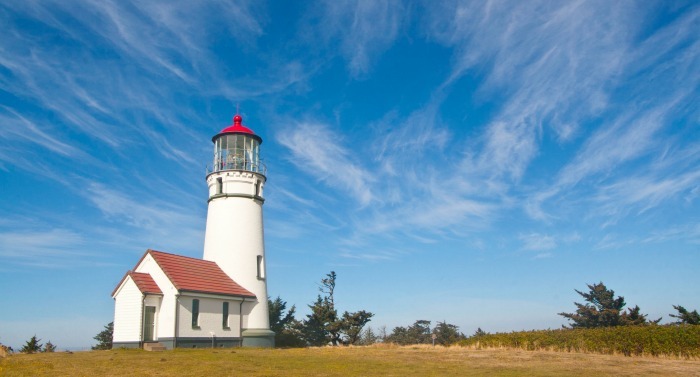 Continue past the Cape Blanco State Park campground entrance to reach the lighthouse. There are fabulous views as you approach and from outside the lighthouse gates there are panoramic views of the coastline north and south. 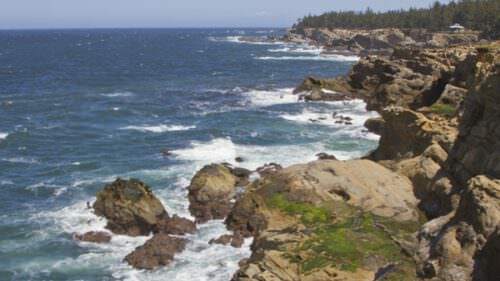 To the north is a cove beach and rocky coastline dominated by Gull Rock and further north, Castle Rock near the mouth of the Sixes River. To the south is a long arc of beach dominated by the nearby Needle Rock with Port Orford Heads reaching into the Pacific and Humbug Mountain rising up out of the distance. The beautiful lighthouse, first lit in 1870, crowns the highest point on the cape and it can be toured from 10 a.m. to 3:30 p.m. between April and October (closed on Tuesdays). After returning to Highway 101 and beginning your return to Port Orford, the scenic bikeway follows Paradise Point Road about a mile west to Paradise Point State Recreation Site. At this oceanfront viewpoint you can look back north along the expansive stretch of beach to Cape Blanco and south to Port Orford Heads, the next stop on the route. The bikeway skirts Garrison Lake, following Arizona Street and looping west on Pinehurst Drive before returning to Arizona Street and connecting to the old Port Orford Highway that climbs to Port Orford Heads State Park. Port Orford Heads is the rocky headland that protects the natural harbor of Port Orford. This was once the site of a US Coast Guard Lifeboat Station built in 1934 and the original crew quarters building is now a Coast Guard museum. 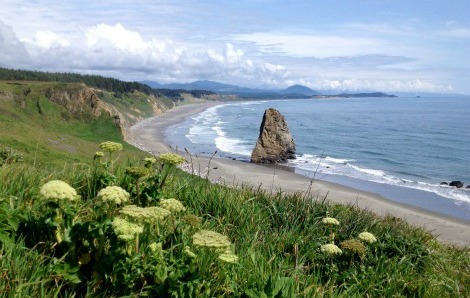 Short hiking trails traverse the headland, offering views of miles of coastline south to Humbug Mountain and north to Cape Blanco. The Nellie’s Cove Trail leads past the small cove that once sheltered the lifesaving station’s two 36-foot rescue boats, one of which is on display in the park. The return to Highway 101 is now a downhill coast to Port Orford. As you reach the highway, you will see the town’s unique “Ocean View” sign painted in the middle of Oregon Street to the south. Climbing that short hill leads to expansive southerly ocean views and Port Orford’s small but unique port. It’s the only dry dock port on the West Coast, where fishing boats are launched and retrieved from the ocean by crane. Ride down the hill to see the boats in the port that sit on dollies and are wheeled over to one of two large yellow cranes to be lifted and lowered into the water. 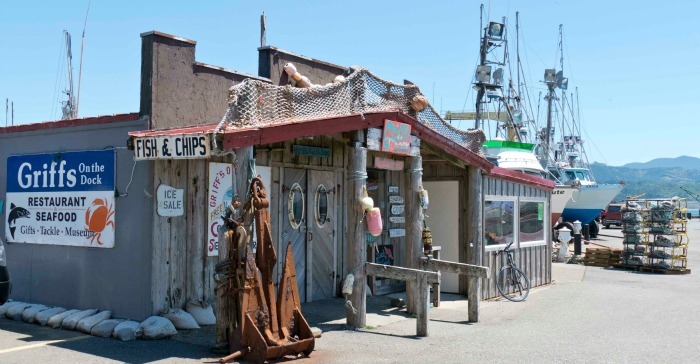 At the port you’ll find Griff’s On the Dock, a classic fish shack and the perfect place to eat a fresh crab cocktail or the day’s catch cooked simply. While visiting the port, watch for the spouts of gray whales that frequent the nearby coves. You can complete the 61-mile bikeway by returning the half-mile to Battle Rock Park where the adjacent Redfish restaurant makes a great spot to enjoy drinks after your adventure, or an ideal place to settle in for a sunset and fine dining. Where to stay: The Powder House Vacation Rental, located in downtown Port Orford, dates from approximately 1910. It was originally a hardware store later moved to this location and converted to a home. It’s now a centrally located bike friendly vacation rental. Castaway by the Sea is a classic ocean view motel perched overlooking the ocean and port of Port Orford. Editor’s note: In Oregon, a bicycle is legally considered a vehicle, and the same Oregon road laws apply. Please “be seen” and practice safe riding. Vehicle traffic, farm equipment and narrow shoulders exist on many Oregon roads, and you may find that construction projects, traffic or other events may cause road conditions or signage to differ from the map results, ride descriptions and directions. 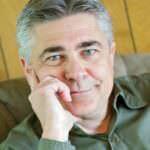 For travel options plus weather and road conditions, visit TripCheck.com, call 511 (in Oregon only), 800.977.6368 or 503.588.2941. Routes listed on this website are for informational purposes and intended as a reference guide only.